Welcome to the first blog of our three-part blog post series on email marketing. Throughout this blog series, learn about planning, creating and distributing an email campaign. Furthermore, you will understand why email marketing is beneficial for your business, and a fundamental tool in your digital marketing arsenal. There's an estimated 191.4 billion emails sent and received every day! Since 2016, there were over 4.6 billion email accounts worldwide. In comparison by 2019, there's expected to be over 5.5 billion email accounts. According to Fatrabbit Creative (2017), email marketing presents a great deal of opportunities for businesses big and small. In addition, email marketing drives a better ROI (return-on-investment). It consequently offers much lower costs creating much richer and deeper consumer relationships. 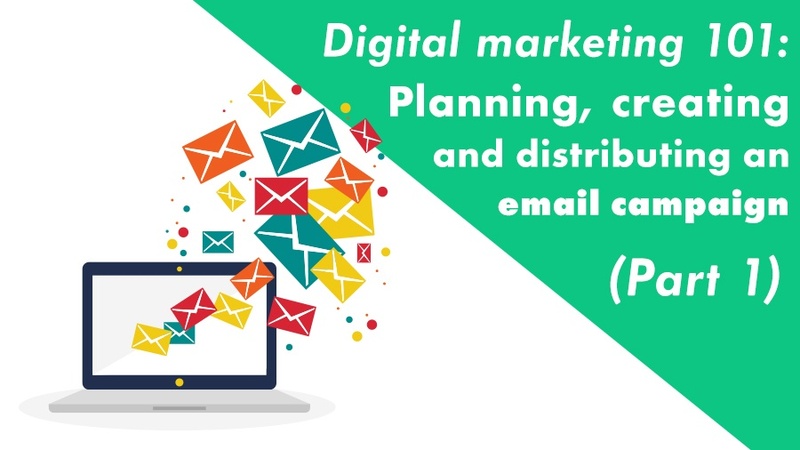 Email marketing helps grow your customer database despite email list decay, and allows you to deliver content directly to potential customers. This includes already existing customers’ email inboxes. It's highly targeted and you no longer place an advert as you control who sees your content. You're able to segment your contacts based on demographics, location and sales readiness. Essentially, your audience receives emails targeted to their needs. It helps you increase brand awareness. Consumers are engaging with your business directly via email. With strategic and well-designed content, you can continue to build your brand’s value. With email campaigns, you stand out from the crowd, creating more sales possibilities. It's easily shareable and measurable. It’s very easy to share email content with a click of a forward button and people can become your brand advocates in the process. You’re also able to measure the success of your email marketing campaigns with metrics such as delivery rates, open rates, and click-through rates. It's also very cost-effective. When compared to traditional forms of marketing, email marketing is highly affordable and has no extra costs like traditional media. The benefits far outweigh potential drawbacks. People consistently use their email addresses as it's a necessity for business people. Provide an unsubscribe option in the email. Use a reputable ESP (email service provider). Make use of unique templates. Use an ESP that is ad-free. Make content very personalised for your target audience. As a result, content must be engaging! The subject line needs to be direct and targeted to the audience's issues. Soon you’ll see greater success! In conclusion, this is an introduction to the world of email marketing. The next two blog posts detail planning an email campaign and building your email database. Finally, we’ll explore email distribution. Keep your eyes peeled to our social media profiles for more blog posts! Read more of the Digital Marketing 101 blog series and be educated on every digital marketing topic under the sun. Learn all the basics about digital marketing and how to put together your own digital marketing strategy. What is web analytics and how does it benefit your website's design?